Chris Waller has said all there is to say about Winx in the long build-up to the mare’s historic fourth Cox Plate mission. Now it’s over to the champion herself to do the talking on the racetrack on Saturday at Moonee Valley. Winx has done that for 3-1/2 years during a winning sequence of 28 races including 21 Group One victories. “One more sleep to go, that’s about all I can say. Winx is striving to do what no horse has done before in Australasia’s weight-for-age championship. A year ago she joined Kingston Town as the only three-time Cox Plate winner but come Saturday afternoon the seven-year-old could stand alone. 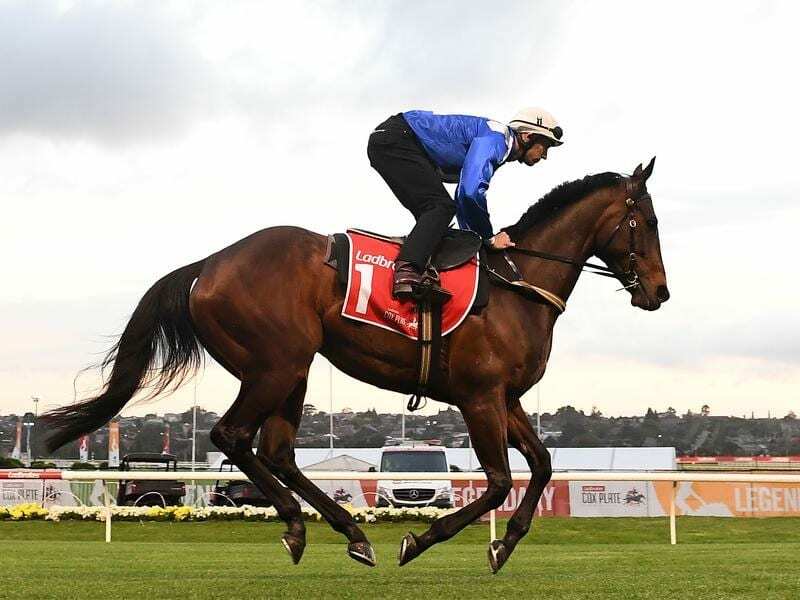 Waller is convinced Winx is as well as ever and goes into Saturday in basically the same condition as before her third Cox Plate last year when she repelled a strong challenge from Humidor to better the 2040m track record she had set in her first Cox Plate in 2015. Humidor is among Winx’s main rivals again while two northern hemisphere visitors, Benbatl and Rostropovich, and one New Zealand mare, Savvy Coup, have taken up the challenge in the field of eight. Irish training maestro Aidan O’Brien and jockey Ryan Moore won the last Cox Plate not to feature Winx when Adelaide was successful in 2014, and they combine again with Rostropovich in the race that has had a $2 million prize money injection to $5 million this year. Godolphin’s Benbatl won the Group One Caulfield Stakes two weeks ago and will be ridden by English-based Irish jockey Oisin Murphy. Murphy arrived in Melbourne on Friday excited about the Cox Plate challenge having spent a couple of months in Melbourne as an apprentice in 2013-14. “Take nothing away from Winx, her record is absolutely outstanding and her connections have done an unbelievable job managing her career,” Murphy told Melbourne radio RSN927. Murphy has five wins from eight rides on Benbatl including two at Group One level this year in the UAE and Germany. “I get on really well with the horse and it’s an opportunity I’m going to savour and I can’t wait for tomorrow,” he said.